This personalized classic metal money clip makes a sleek gift that your groomsmen will love. 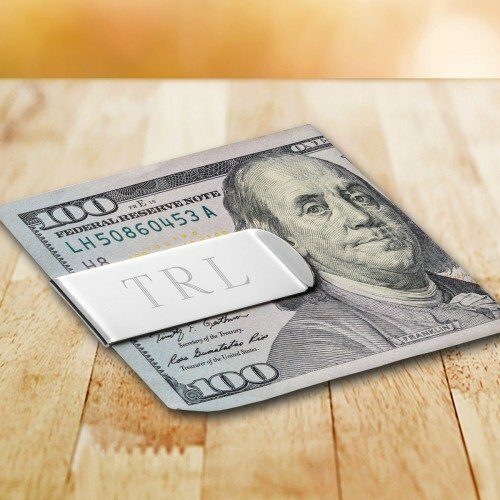 Strong enough to hold both bills and credit cards, this money clip makes the perfect alternative to a bulky wallet. To finish the look, simple add his personalization.